The Democratic candidate won the special election in NY-26, the FIRST time a Dem has ever won that district, one of the most conservative congressional districts in New York State. It's one of only 4 districts in New York that voted for McCain over Obama. It's an area where the Republicans have a 7-point voter registration advantage. It was a race in which right-wing special interest operations, like Karl Rove's thuggish group, outspent the Dems 2:1 in advertising. And, ooops, they still lost. 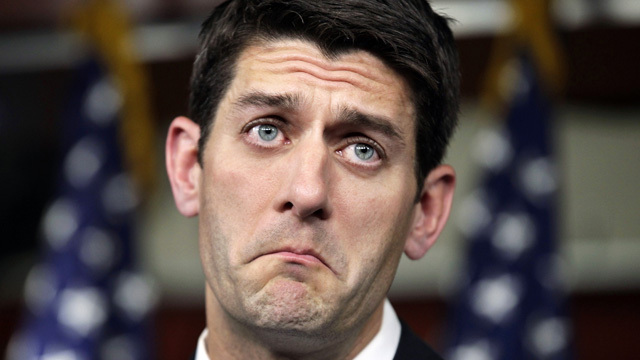 Paul Ryan fail. Obama wins again. 6-7% of the vote was siphoned away from the Republican by a wealthy, egomaniac, and bogus 'Tea Party' candidate who has run as a Democrat many times before. Without polling a serious sample of the voters, it is ridiculous to project 'Medicare' as the cause of the victory. That doesn't even make sense. The tea bagger was a former Democrat, which means he was more likely to split the Democratic vote, siphon votes away from the Dem candidate - who still went on to win. Nice try at commentary, anon, too bad it failed.